One of the best destinations in Kerala visited for an exotic backwater experience, Kumarakom is located at a distance of 16 kilometers from Kottayam and the Vembanad Lake encompassing the town has many natural beauties in store for you. 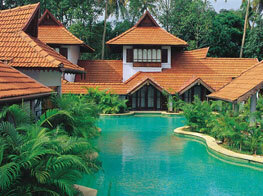 Abounded with nature, Kumarakom is home to a variety of exquisite wildlife. 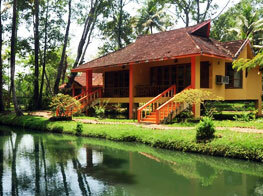 The town has some lovely waterfalls and visitors can enjoy a breathtaking backwater cruise on the Vembanad Lake. 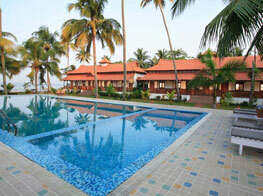 A stay in Kumarakom will bring you close to nature. 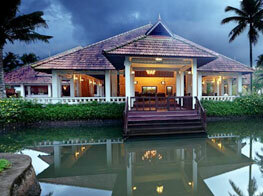 Hotels in Kumarakom offer authentic Kerala flavor in terms of décor, food and their engaging courtesy. 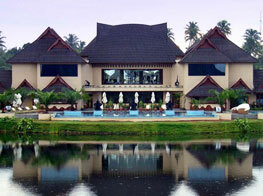 During the stay at Kumarakom hotels, tourists can feast upon the breathtaking views of backwaters and lagoons as most of the hotels are built around them. 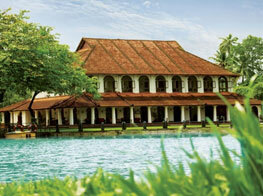 Apart from breathtaking beach views, there is also an option to stay in the Kumarakom hotels located close to verdant surroundings. 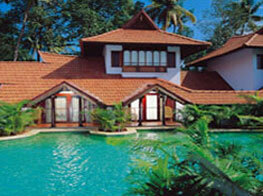 In some hotels, tourists can enjoy the world famous Ayurvedic massages and spa treatments. 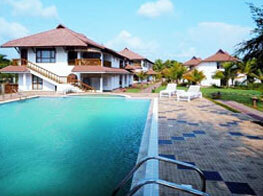 Listed below are the names of some prominent hotels that dot the scenic town of Kumarakom.